An assemblage of reflections on the nature of writing and the writer from one the greatest American writers of the twentieth century. 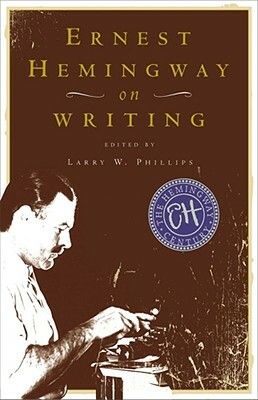 This book contains Hemingway’s reflections on the nature of the writer and on elements of the writer’s life, including specific and helpful advice to writers on the craft of writing, work habits, and discipline. The Hemingway personality comes through in general wisdom, wit, humor, and insight, and in his insistence on the integrity of the writer and of the profession itself. Ernest Hemingway did more to change the style of English prose than any other writer in the twentieth century, and for his efforts he was awarded the Nobel Prize for literature in 1954. Publication of The Sun Also Rises and A Farewell to Arms immediately established Ernest Hemingway as one of the greatest literary lights of the twentieth century. As part of the expatriate community in 1920s Paris, the former journalist and World War I ambulance driver began a career that led to international fame. He covered the Spanish Civil War, portraying it in fiction in his brilliant novel For Whom the Bell Tolls, and he subsequently covered World War II. His classic novella The Old Man and the Sea won the Pulitzer Prize in 1953. He died in 1961.